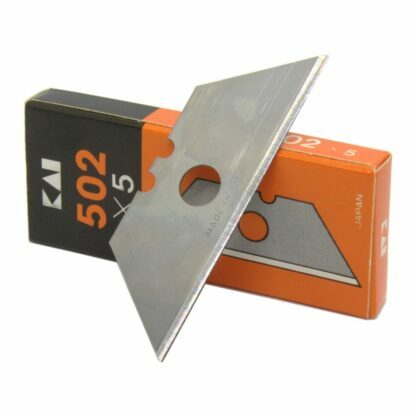 KAI Trapezoid #502 Utility Knife / Cutter blades are a heavy duty, long-lasting and exceptionally sharp replacement utility blade. Produced by Japan’s premiere cutlery manufacturer the KAI Group. Dimensions: 57mm (blade length) x 30mm (notch side length) x 19mm (height) x 0.61mm (thick). 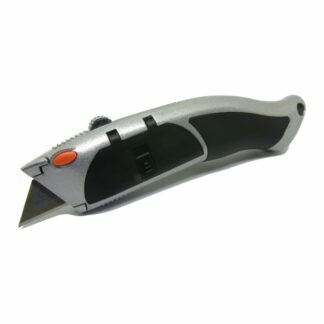 General purpose blade for a variety of cutting and trimming applications – ideal for paper, cardboard, plastic, leather and various sheet materials. Hardened and tempered blade for exceptional sharpness and long cutting life. 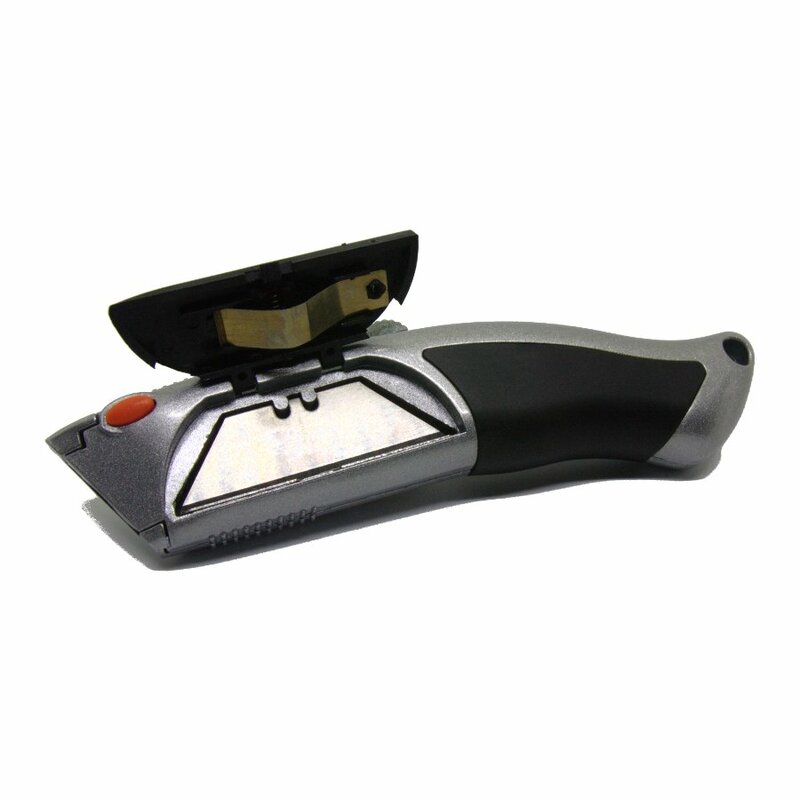 Fits most standard utility knives including “Stanley type” knives / cutters. 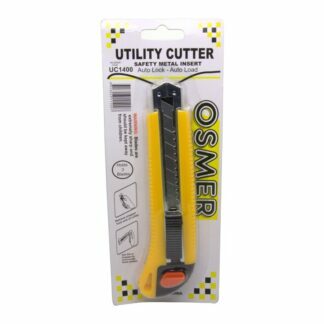 NOTE: These blades can be manually loaded into our Osmer Steel Auto Load Utility Knife / Cutter. Due to their shallow notches, they don’t physically fit into the auto load blade compartment and therefore cannot be auto-loaded. 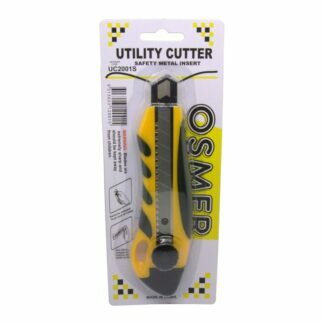 So, if you don’t mind manually loading the blades, these are compatible and do work very well with our Osmer Utility Knife.